Raymarine Rotary Rudder Reference is a replacement Transducer for Raymarine and Autohelm autopilot systems and instruments systems. Includes 10 meter cable and mounting hardware. 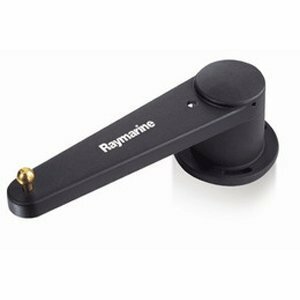 The Raymarine Rotary Rudder Reference Transducer is a sensor included with many Raymarine SmartPilot core packs, and with the ST60 series rudder system. This device accurately measures the angle of the boat's rudder(s) or outdrives, and sends that information back to the autopilot course computer or rudder angle display. Additionally, many Raymarine multifunction displays and instrument repeaters have the ability to read and display rudder angle information over the SeaTalk navigation network. Click the button below to add the Raymarine Raypilot Rotary Rudder Reference - M81105 to your wish list.